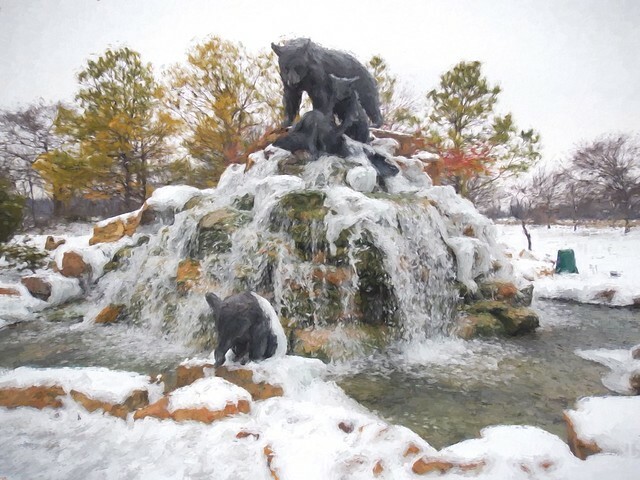 This is what I call the Bear Fountain located on the Arkansas River Park Trails. I caught it one morning recently after dropping the kid off at his school. I used Topaz Labs Impressions software to create the painted effect. This entry was posted in Digital Art Meme and tagged "Topaz Impressions", Arkansas River, Art, Digital Art Meme, Public Art, River Parks, Sculpture, Topaz Labs on March 10, 2015 by Alan Bates. The sculpture itself is wonderful but I do also like the Tapaz effect you used. What a great sculpture!! And a terrific capture as always!! Hope your week is going well! I think I caught a glimpse of the bear’s bare behind. Looks good in topaz. How pretty ! Lovely work. What a nifty work you’ve created!!!! It looks great! I like bears. 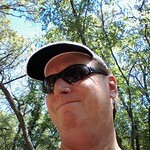 cool processing. do you know who made the sculpture? My kind of bears 🙂 Don’t move .